UNDER THE SUN AND IN THE WATER, LADY J FEATURES EVERY AMENITY. The Lady J is a haven for the adventurous with a myriad of watersports available. 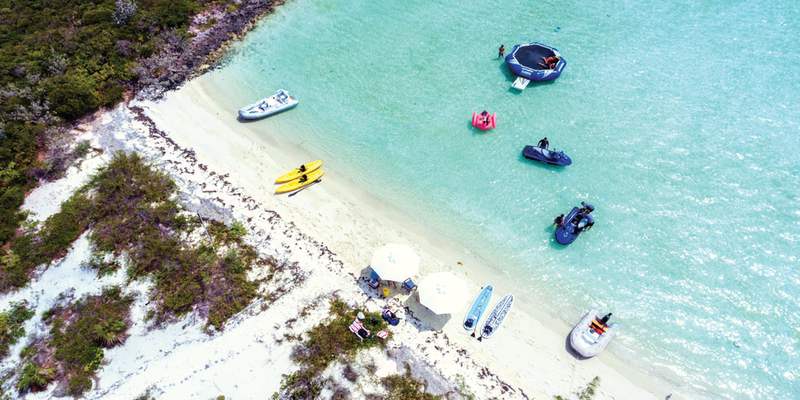 Guests can try their skill at paddle boarding, water skiing, fishing and kayaking or explore the shores on jet skis or by snorkeling. Excitement awaits you on the many inflatable toys or you can even opt for a calorie-burning workout. All of these activities are possible on this well-equipped yacht where the young and young at heart alike can be sure of endless fun. Staying fit while enjoying a luxury yacht charter vacation is essential especially when the charter includes the fabulous delights from the Chef’s galley. There are many healthy and fun activities that guests can engage in while onboard 142' Palmer Johnson Lady J. See our blog post: 10 Ways to stay in shape and exercise while on charter. 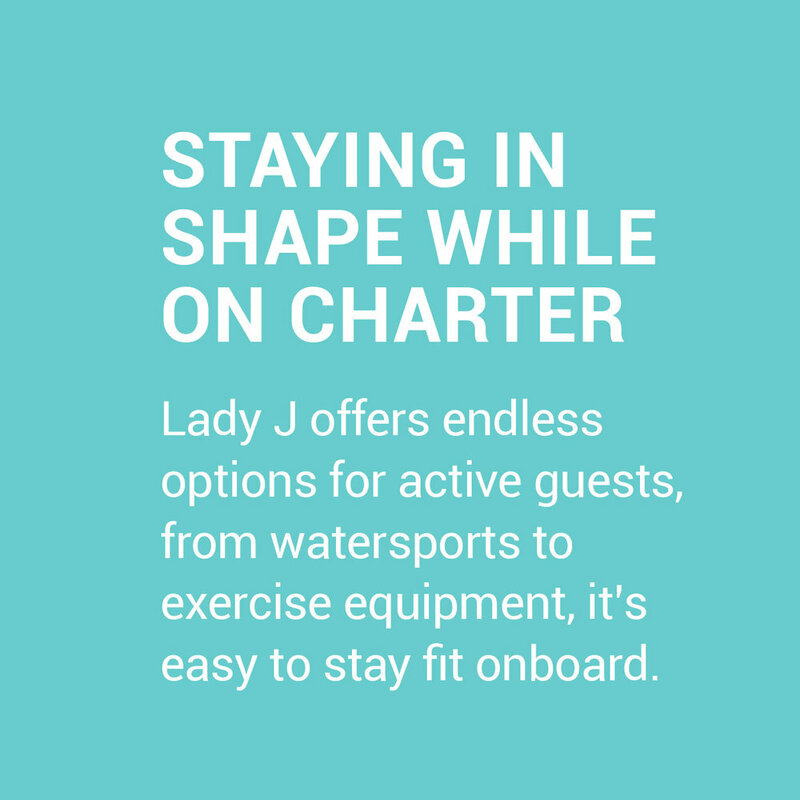 Lady J Boot Camp: The First Officer can help you stay in shape with his fun-filled cardio workout on the sundeck! Mountain Biking: Lady J carries 5 mountain bikes for charter guests to explore the islands. Swimming: Convenient while on charter and a fabulous exercise. Deck Climbing: Just climbing up and down the three flights of stairs from your cabin to the main deck—to the bridge deck—to the sun deck is a complete workout. For the perfect ending to a hard workout, a dip in the on-deck jacuzzi is the best way to relax and refresh in style. Treadmill Workout: Work out on the treadmills and enjoy the beautiful surroundings. There is a TV on the sun deck, or you can plug your iPod into the treadmill port or sun deck surround sound. Waterski: The crew can take you out with the tender for a fast and fun workout. Kayaking: Great for cardio as well as muscle toning. Snorkeling: Relaxing and peaceful yet active and entertaining. Hiking: Explore the nature trails in each port that you visit.